While I already had an idea what the movement was about from various commentaries, for the sake of being open minded I carefully read the entire opus. That was quite a 'feat'. I will start with couple major points first and then will switch to particular quotes and examples. I will use different font color when quoting from the guide directly. The main incongruity of the movement is a stated goal of preserving western civilization by way of destroying its principles of Enlightening. This includes democracy, individual liberty, freedom of expression, and eradication of religious authority. I know it sounds ridiculous, but it looks like authors are completely unaware of the contradiction and do not recognize that implementation of alt-right ideas would destroy western civilization. The reason for such obvious contradiction is not the lack of knowledge, but rather obnoxious pride in their intellectual superiority which disables the author’s critical thinking. To demonstrate their education, they start their opus paraphrasing Marx's Communist manifesto and move on by dropping names H. Mencken, Samuel Fransis and others conservative intellectuals. By no means do these educated and thoughtful authors have anything in common with regular skinheads and street hooligans. They present themselves as connoisseurs of western civilization which they are so eager to save. Moving on to particulars. The authors present us with major species which represent alt-right movement. The first and most important alt-right constituencies are Intellectuals. This group of alt-right intellectuals puts under microscope liberalism, democracy and egalitarianism and found them wanting. Liberal democracy, they argued, had no better a historical track record than monarchy, while egalitarianism flew in the face of every piece of research on hereditary intelligence. Asking people to see each other as human beings rather than members of a demographic in-group, meanwhile, ignored every piece of research on tribal psychology. The authors of the opus didn't bother to provide any proof of such statement and failed to point out that the longest period of peace and improvement in human condition happened in western civilization by building in Europe and North America entire community of countries which are guided particularly by principles of liberalism, democracy and egalitarianism. Moreover, the western civilization bloomed when people transition from seeing themselves as member of the group to see themselves as individuals and started to recognize certain universal moral principles which all these different groups have in common. That is the actual intrinsic philosophy behind all Abrahamic religions. Our so-called intellectuals didn't catch this. Next group is called Natural Conservatives. For natural conservatives, culture, not economic efficiency, is the paramount value. More specifically, they value the greatest cultural expressions of their tribe. Their perfect society does not necessarily produce a soaring GDP, but it does produce symphonies, basilicas and Old Masters. The natural conservative tendency within the alt-right points to these apotheosis of western European culture and declares them valuable and worth preserving and protecting. This group’s main concern is diversity. They think that massive immigration will not appreciate and even destroy these apotheoses. In their opinion, the Establishment doesn't care about preservation of this rich cultural heritage, our alt-right guides bring us to a stunning conclusion: Donald Trump, perhaps the first truly cultural candidate for President since Buchanan, suggests grassroots appetite for more robust protection of the western European and American way of life. I considered stopping reading right at this high point, but my curiosity made me to continue. There is a real concern that some part of "regressive" left does have an inclination to diminish what they call a culture of "dead white males". But authors ignore that the critics of these inclinations are coming not just from conservatives but from a significant left constituency as well. An addition, the natural conservatives completely ignore that culture is not a static entity enshrined in old cathedrals, but a living organism, and diversity, exchange and fusion of ideas make it much richer and brings layer of complexity and excitement. In fact, the cathedrals while amazing and beautiful are only small part of what western civilization has to offer. The more diversity was introduced, more sophisticated design styles emerged. For example, the amazing art-deco movement was heavily influenced by Asian esthetics. I could go on and on this, but it will take this essay in different direction. Again our preservationist failed to mention such details. In their view western civilization peaked at building cathedrals. The USA would not exist and not achieve the cultural status it currently has in the world without massive immigration waves. The natural conservatives only see one side of immigration as destruction of the local culture. Yes, immigration partially destroys the local culture, and there is very little kumbaya in absorption and integration of each immigration wave. But the new culture comes out as a fusion of local and immigrant culture. Yes, the process could be painful, but I would be bored to death being surrounded by just cathedrals. As always, there is a form and there is content. The authors of this guide consistently miss the point. The young generation of 60s and 70s while was rebellious, it was not just for fun and transgression, but had a particular cause – social justice, civil rights, gay rights, abortion rights. While young people expressed this struggle in hippie movement, the content of the MEME team is to rebel against the culture which admitted the guilt and condemned racism, sexism and homophobia. This is not the same as Father Christmas as the authors proceed to explain: As with Father Christmas, Millennials have trouble believing it’s [Holocaust or racism] actually real. They’ve never actually seen it for themselves — and they don’t believe that the memes they post on /pol/ are actually racist. In fact, they know they’re not — they do it because it gets a reaction. Barely a month passes without a long feature in a new media outlet about the rampant sexism, racism or homophobia of online image boards. For regular posters at these boards, that’s mission accomplished. The MEME team is young rebels against Establishment culture. But this is where the similarity with hippies ends. Their goal is not love and peace, but to hurt and scare people. They are ignorant, racist internet hooligans. More similar to the characters in the Kubrick's “Clockwork Orange“, than to the hippie's flower children. The next group is 1488s. These are just simple Neo-Nazies. 88 stands for 8th letter of alphabet HH for Heil Hitler. Even super generous to alt-right folks authors of the guide had to admit that the group is not very edifying and initially compared them to Islamic terrorists which is somewhat appropriate. It would be OK, if they would stop right there. But they needed to pull in comparison to liberals and brought BLM as similar movement. Here we return again to the form and the content issue. While there are some questionable forms of the rebellion in the BLM movement, the content is a legitimate protest against police violence. Yes, just like in civil rights struggle, some protests turned criminal and violent and extreme wing of BLM could be compared to Black Panthers, but not to Nazis. The Establishment's Frankenstein group is very much concerned about what’s acceptable and unacceptable to discuss in polite society. The authors put liberal identity politics on campuses against the plight of white working class male. While there are real problems with identity politics on campuses and the plight of white males is real, both of them are confronted and discussed plenty in Establishment media. As very active media consumer, I'm well aware of these problems. But, even when the established media does write about the plight of white men it is presented as a health and economic crisis. The words which are used are from medical and economic vocabulary -- opium epidemics and the disappearance of well-paid working class jobs. When similar processes affected the black population in former industrial cities like Chicago, it was all about crime and crack cocain addiction. Alt-right anti PC group blames establishment for ignoring the plight of white males. And while taking a pride in being politically incorrect, they will not discuss why women are doing better than men. All they do are complaining about violent feminism. It never came to their minds that maybe women, when given equal rights, are better adjusted to the modern workplace. Maybe they are doing better because their biological function as children caregivers made them more social, responsible and flexible which are exactly the qualities which are desirable in post industrial economy. And white men just need to pull themselves by their boot's straps and say no to drugs. Just as native conservatives once told to poor minority population. Instead, they playing victim card, just like liberal identity politics aficionados they like to complain about. In the conclusion of the guide, the authors are saying that natural conservative is the group which needs to be pursued by Establishment, otherwise is that the 1488ers start persuading people that their solution to natural conservatives’ problems is the only viable one. The bulk of their demands, after all, are not so audacious: they want their own communities, populated by their own people, and governed by their own values. What authors don't mention that natural conservatives are just mild form of 1488ers. The only difference is that they don’t mind that other groups have their own way at least for now. They also don't mention that natural conservative idyllic society is impossible in multicultural immigrant country such as USA and the only choice for us is 1488ers or multiculturalism and diversity. I do agree that natural conservatives are not going away and liberals need to work with the group. They need to learn how to peel away as many people from the group as possible. Hopefully, this could be done through better education and history lessons by explaining that their demands will not result in idyllic communities with traditional values -- these communities never have been idyllic. It will result in strict regimes similar to what we see now in Iran and other theocratic countries. These communities will fight with each other over territories which they considered traditionally belong to them, over minor religious differences like Sunnis and Shia, while internally will be torn apart by matters which we consider ridiculous, like the right of a Catholic to marry a Jew. 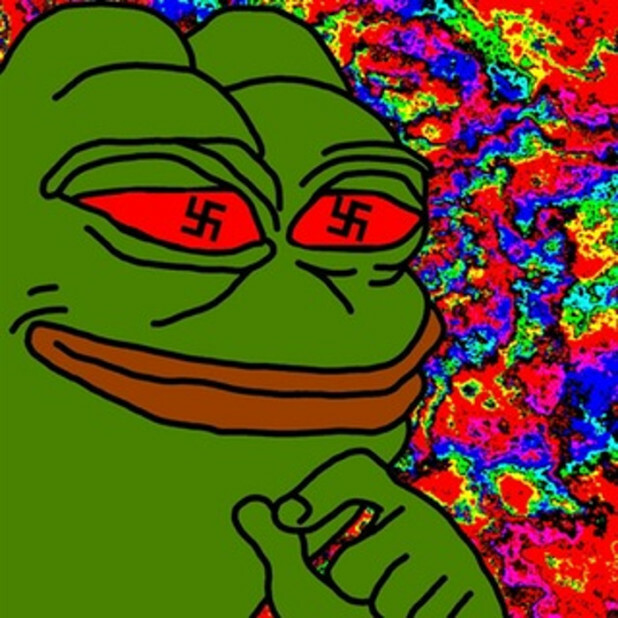 Overall, while the guide is an eye opener, introducing various groups which represent the alt-right coalition, it is real goal is to obfuscate the deplorable values at the core of each group. 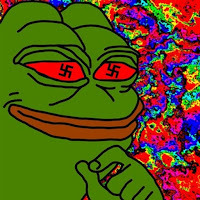 At the same time the liberals, the former Establishment needs to develop a strategy how to deal with alt-right in a way which could alter their popularity and take down a romantic aura of the revolutionary movement. I would suggest making the guide a required reading in liberal colleges as a sample for critical reading and writing exercise. You cannot win the fight without understanding the enemy and without ability to prove a danger of their disingenuous ideas. In this fight liberals could learn where their ideas are failing and adjust their platform. It will make them stronger and give the ammunition to win the hearts and minds.